This is still one of my favorite recipes! 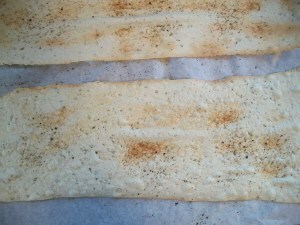 These crackers rival the 5 dollar a bag ones from the market and you can experiment with all sorts of herbs and flavors. Preheat oven to 450 degrees and put a pan for water in the bottom of the oven. 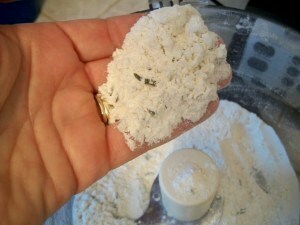 First put flour, salt, sugar and rosemary in a food processor fitted with the cutting blade and pulse to blend. Next add the oil and pulse to blend. 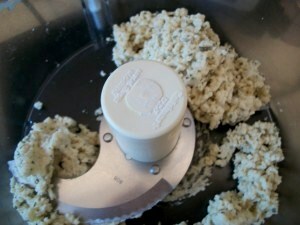 Add the water in a stream until the dough comes together and run for about twenty seconds. 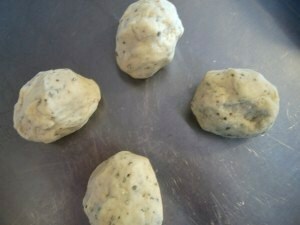 Turn the dough out and knead to a smooth ball. Divide it into four pieces and cover with a cloth to let rest for five minutes. 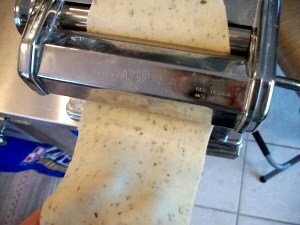 Roll each section in a pasta roller. The next to thinnest one tastes very good. 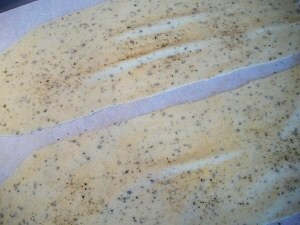 Cut into sheets and place on parchment paper. 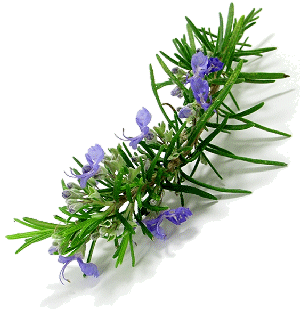 Spray with water water and sprinkle with herbs. Put parchment paper directly into the oven on a baking stone, add a half cup of water to the pan in the bottom. Turn crackers from front to back after about two minutes. Watch them closely as they burn easily. You just want a hint of brown.